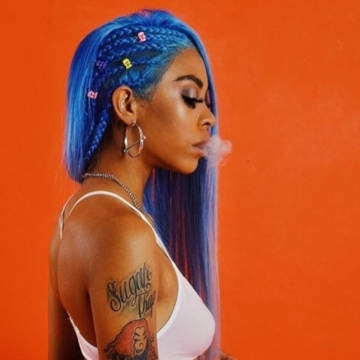 The DMV rapper, producer, and singer Rico Nasty has continually both shown and proven her mettle on the mic time and time again since dropping her first mixtape - Summer’s Eve - back in high school. Unabashedly uncompromising, knife sharp, and potently powerful, her microphone prowess offered a respite from a scene preoccupied with auto-tune and mumbling. 2018’s major label debut mixtape Nasty made good on that promise. A dizzying display of lyrical fireworks and taut wordplay, Pitchfork awarded it a coveted 8.0 rating and proclaimed it “one of the hardest rap records of the year.” Meanwhile, she graced the cover of The Fader in tandem with the release.